Food: Sgaia Mheats Streaky Rashers - Daisy Chains. 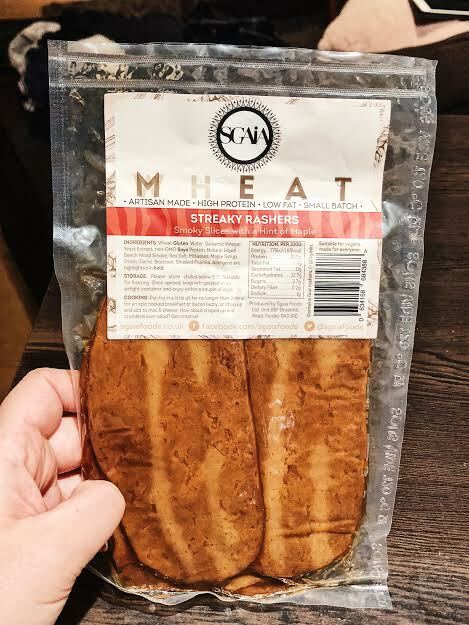 Recently I saw these Streaky Rashers in Whole Foods and thought that I needed to try them. Roughly £4 later, I took these home and fried them up. The rashers sizzle and fry like bacon would and smells a lot like the real thing. The texture is chewy so if you are looking for something that resembles real meat, then this will fool your friends. Personally, I think this is great to include in a fry up where there are loads of other flavours or in the middle of a burger. Although this states that there is a hint of maple in it, I find the maple flavouring to kind of be a little too overpowering. I do recommend these tasty slices, but at £4 this will have to be a treat for me.